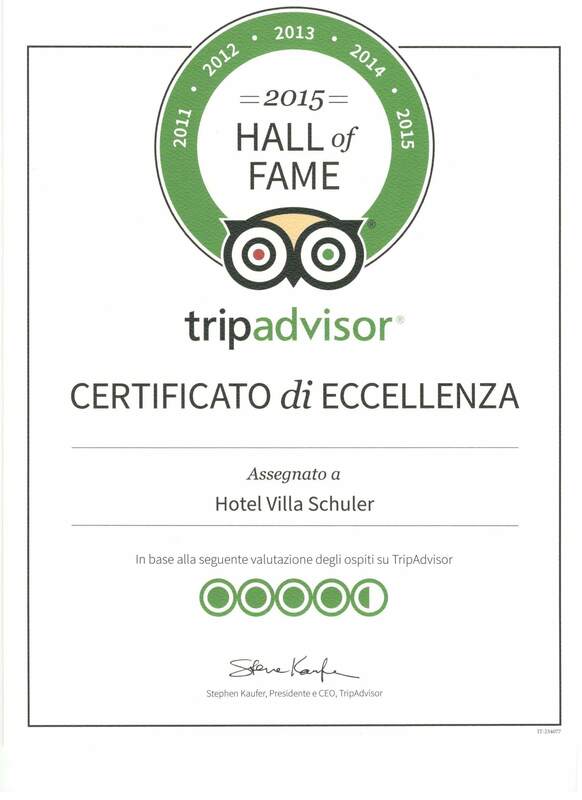 We are constantly searching the internet and other sources in order to inform you as soon as possible about the most interesting events for Taormina, its surroundings and Sicily. 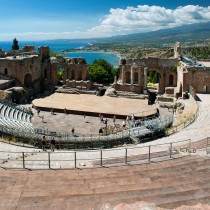 Attending one of the events inside Taormina’s famous Greek Theatre is surely one of the most beautiful experiences during a summertime stay in Taormina. From mid June until beginning of September lots of premium classical or pop concerts, opera and ballet performances use to attrack hundreds of spectators. Taormina. Fotografie, storia e memoria. Historical photographies of Taormina from 1920 to 1950. An exhibition of photos from the archives of Gaetano Castorina. Opening hours 10.00h to 13.00h and 16.00h to 20.00h. Admission free. Archimede a Siracusa. Exhibition devoted to the greatest scientist of the ancient world, who lived in Siracusa (287 to 212 b.c.) and already in his times was a famous mathematician, physicist, engineer, inventor and astronomer. The exhibition offers visitors a unique opportunity to explore the life and achievements of one of the greatest geniuses in the history of mankind. 16 video projecters for a 360-degree multimedial vision take visitors on a journey back in time and “immerse” them in the city of Archimedes in the 3rd century BC. A spectacular yet painstakingly accurate reconstruction shows some of the iconic buildings (the Castle of Euryalus, the Greek Theater, the Temple of Athena) that made Syracuse one of the most important cities in the Mediterranean also in artistic and cultural terms. A series of animations to life the ancient Syracusans and the great scientist in their midst, thus highlighting the importance of the city. Based on historical and archaeological sources, an intriguing and atmospheric narrative available in four languages. Opening hours: until September 30, 2018: Tuesday to Sunday 10 to 22.00 h, October 1, 2108 to April 30, 2019: Tuesday to Sunday 10.00 to 19.00 h. Closed on Mondays. CioccolArtSicily a sweet trip to Sicilian art and history. Sculptures, related to famous Sicilian artworks (such as the “Venus of Morgantina”) made from chocolate. Opening hours: until November 2 daily 10 to 14.30 h and 15.30 to 19.30 h – November 3 to March 31, 2017: Saturday and Sunday 10 to 17.00 h.
Christmas Crib by Giovanni Panarello. Permanent exhibition. Domenica al Museo. Every first Sunday of a month, the admission to all museums and archeological sites is free. No entrance fee! Great idea! Mercatino delle Pulci. Fleemarket. Every Sunday in the quarter near the harbour of Catania. A treasure trove for those who love to browse and discover. Nzèmmula. Market with organic products from Sicily. Degustation and sale of tipical products such as honey, olive oil, jams and marmelade, artistic works, ceramics and other handicrafts. Negramaro the concert has been postponed to March 19, 2019. Tickets already bought for the December concert stay valuable for the new date in March 2019. ChocoModica, enogastronomic festival dedicated to the artigan chocolate made in Modica. The town of Modica is famous for its very special type of chocolate handmade without any milk and offered in various flavors, such as chilli, cinnamon, carrubo and others. Degustations, exhibitions, workshops and lectures, and also a wonderful occasion to visit some of the most beautiful baroque palazzi of the town. Cesare Cremonini in concert on his tour 2018. He will perform the songs of his new album “Possibili Secenari”, published in 2017. Cesare Cremonini once was the lead singer of the Italian pop band Lùnapop and started his solo career in 2002. A Fera Bio. Market with organic products directly from the farmers, handicrafts, degustations and musics. This market is held every 2nd Sunday. Feast of Santa Lucia. The silver simulacrum of the Saint is exhibited at the Chapel of Saint Lucy inside the cathedral. Feast of Santa Lucia. The famous procession, that brings the reliques and the beautiful silver plated simulacrum of the saint to retrace the stages of his martyrdom begins, crossing the streets of the city. The procession lasts for many hours and the believers follow it some barefeet and carrying big candles. After greeting the sailors who have fallen in battle at Porta Marina, the reliques and the statue reach the Basilica of Santa Lucia al Sepolcro, where they will remain for the next seven days. Take 6 in concert. An event organized by Catania Jazz. Take 6 is an American a cappella gospel sextet formed in the 1980ies in Huntsville, Alabama. Take 6 are considered the most important acapella choir worldwide and have won 10 Grammy Awards. They integrate Jazz with spiritual and inspirational lyrics.Only two concerts in Italy, one in Catania, the second concert will take place in Palermo, Teatreo Golden, December 16. BioDomenica. Market with organic products from Sicily. Animation programm for children, dancing and folkloristic performances. Feast of Santa Lucia. Last day of the Feast of Santa Lucia. Another long procession that brings back the statue of the saint, from the Basilica S. Lucia al Sepolcro, with a stopover at the Basilica Santuario della Madonna delle Lacrime and a secondo ne at the Ospedale Generale Umberto I, the reliques and the statue of the saint are returned to Ortigia. When the procession arrives the bridge to Ortigia the saint is greeted with fireworks, and then returns to the cathedral.